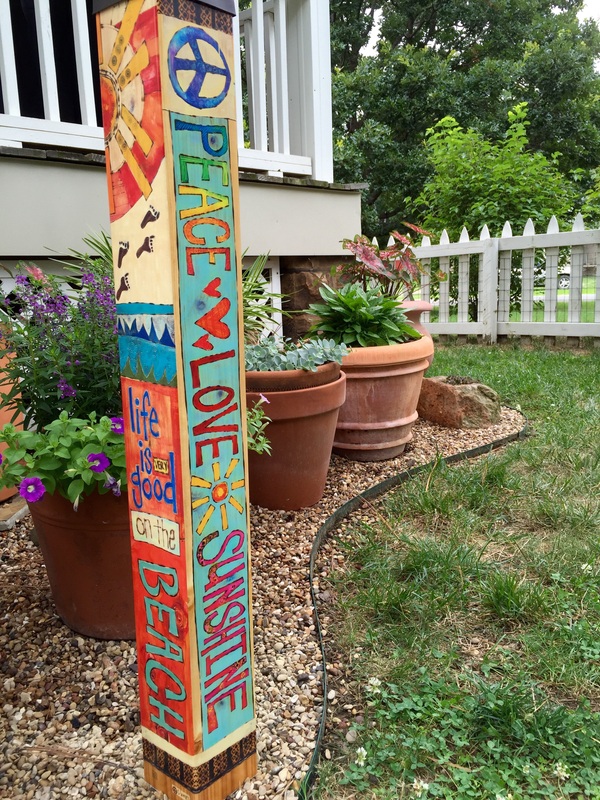 Your yard looks beautiful–love the Peace Pole!!! Thanks. It’s a great addition. Thank you for telling me about that shop in Fish Creek. Now it is my favorite. It is a great little store and the owner is so nice; now if they will only make a peace pole with a Scottish theme!! I almost added one. Very tiny. Love the Peace Pole too! No tinking on it guys…….please?…….go smel the Hibiscus instead……. You need a real wheaten for your house. We have double apricot hibiscus flowers in our side yard and would love to have a peace pole. The Code Enforcement people would probably find a reason to outlaw it. Apricot sounds gorgeous. They have two foot peace poles. Have you read “At Water’s Edge”? I have a similar pole I got in downtown Le Claire plus I have a double hibiscus! Plus two scotties! 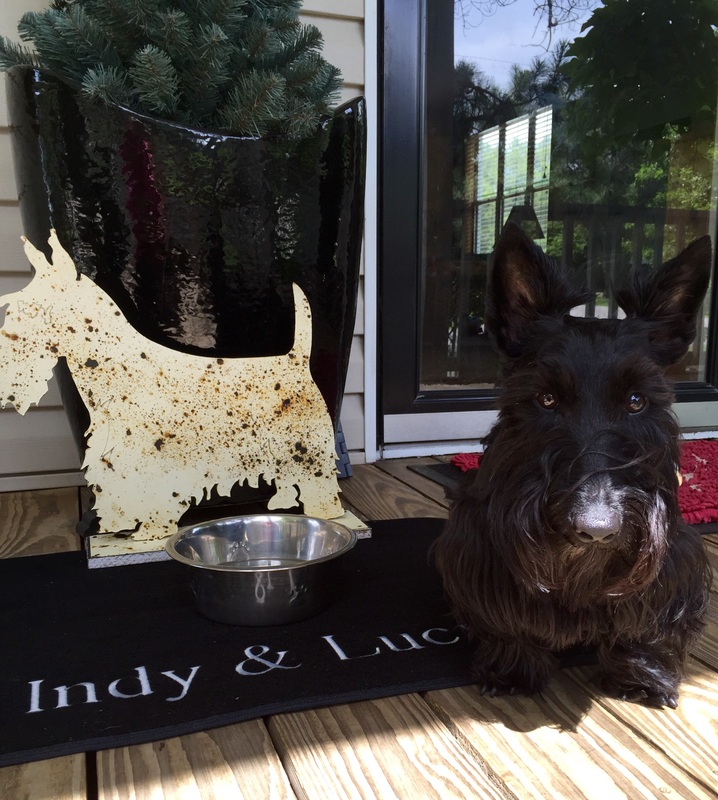 Where did you get the wheaten scottie? Legends Sports Gallery. Facebook. Call and Lori will Fed Ex it. 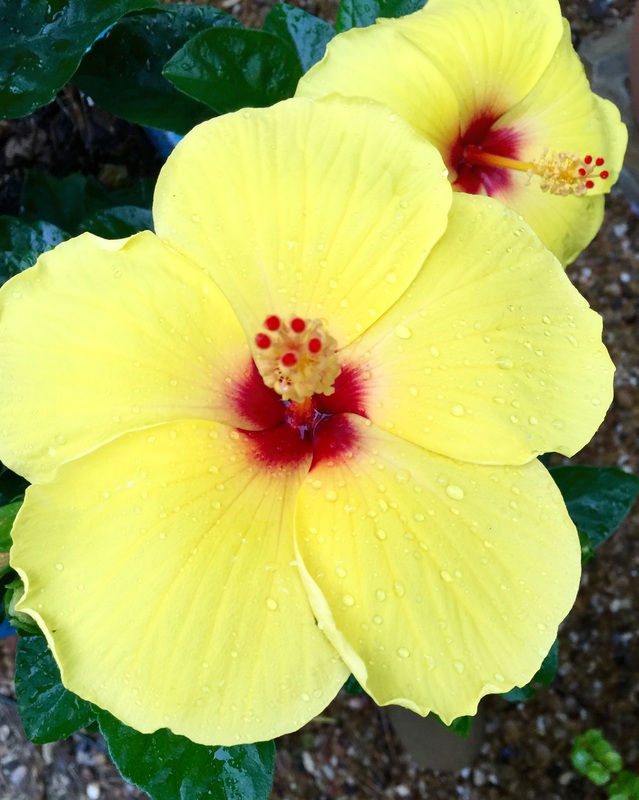 Love the yellow Hibiscus .. I used to have a white one & a pink one; love the peace pole .. have never seen one like that .. love, love the Wheaten Scottie !! You can take it in during the winter if you have room and then bring out in the spring.